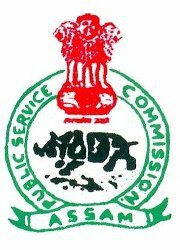 Assam Public Service Commission (APSC) has announced a new recruitment notification to recruit Assam Civil Service Junior Grade, Assam Land and Revenue Service, Labour Inspector, Inspector of Taxes and Inspector of Excise posts. Candidates who are eligible and interested they can apply online mode by visiting official site of APSC before last date. Candidates also check other details related to JR Grade recruitment 2015 like syllabus, exam pattern, Jobs in Assam, solved question papers, old/ last year question papers, admit card download date, and more details are given below. Candidates who are preparing for APSC Combined Competitive Examination (CCE 2015) they must and should check previous question papers of Preliminary exam Solved Question Papers, Main Exam Solved Question Papers, question paper pattern, syllabus for better preparation. We are trying to keep last 10 5 year question papers. If you have an APSC Previous Question Papers then please share with us. Below are the 2009 Solved GS Question Paper of Preliminary Exam PDF.